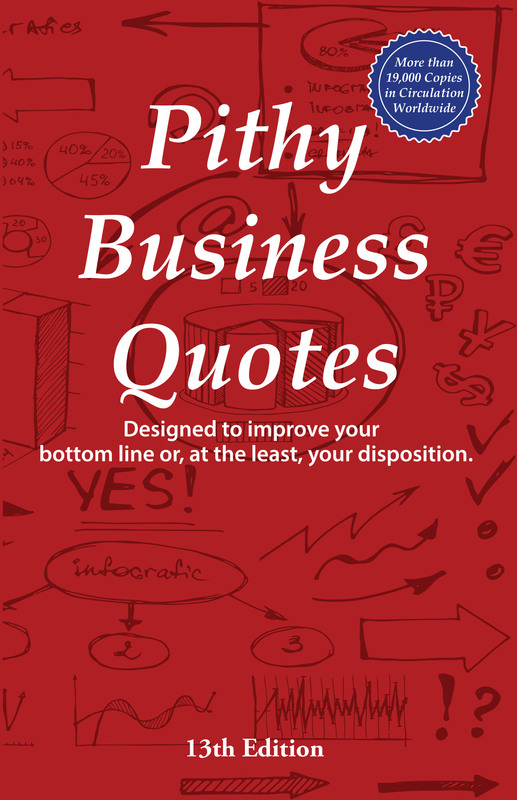 Business quotes designed to improve your bottom line, or, at the least, your disposition. The quotations Bud Carter has assembled are an inspiring, humorous, instructional, wise—and always useful—collection of learnings for all of us who are striving to reach our full potential. Bud has given us a timeless and timely set of advice to remember and live by. Chairman Carter's Collection of Pithy Quotes - Enjoy! Be Inspired! Own your copy of Chairman Bud Carter’s Pithy quotes now available in paper back. For bulk or custom orders, please e-mail pod@booklogix.com. First published in 1990, more than 16,000 copies of Chairman Carter's Pithy Quotes are now in circulation literally around the world. How often can you give the gift of inspiration? Order Pithy Quotes now for someone you know and reap their thanks all year long. Words of wisdom know no bounds of fame or wealth. We'd love to add your salient snippet. Click here and share your pearls of pithiness. Vistage is a 57-year-old international organization for Presidents and CEOs with 17,000 members around the world. For more information, please visit our website. 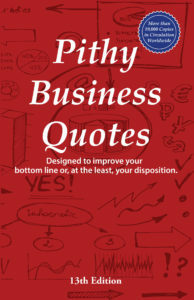 "The quotations Bud Carter has assembled are an inspiring, humorous, instructional, wise—and always useful—collection of learnings for all of us who are striving to reach our full potential..."
Copyright © 2019 BusinessQuotes.com | All Rights Reserved.